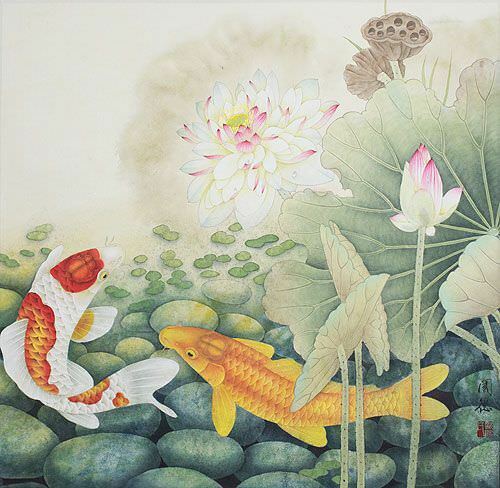 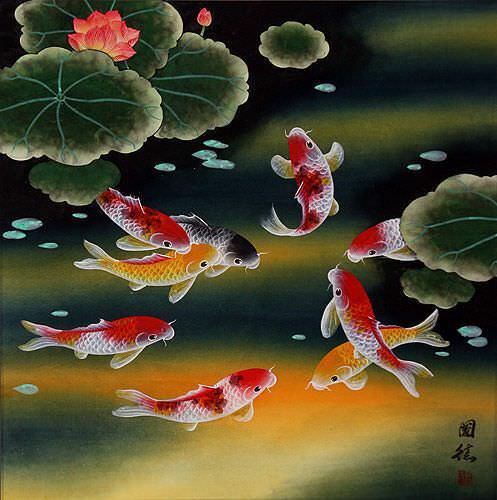 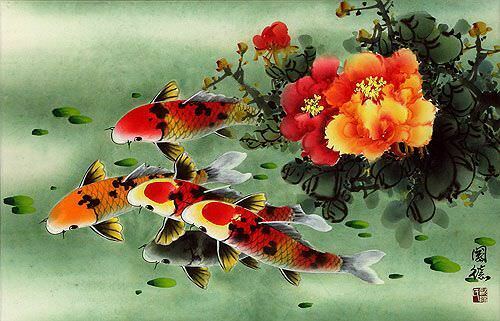 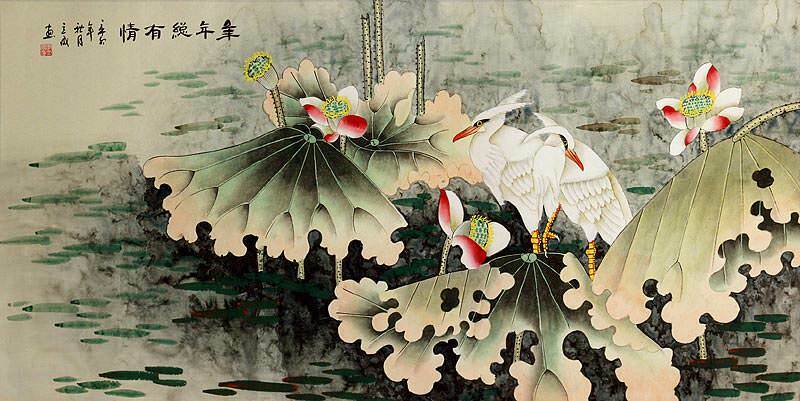 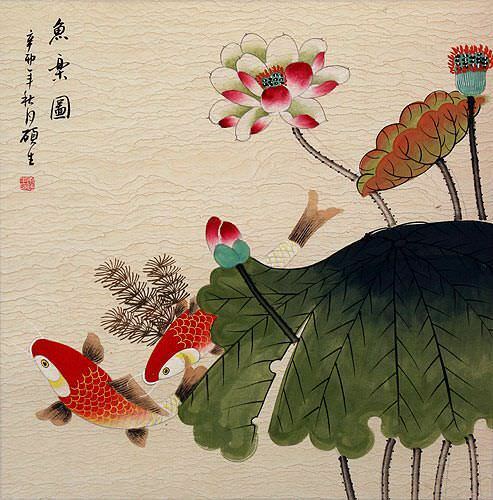 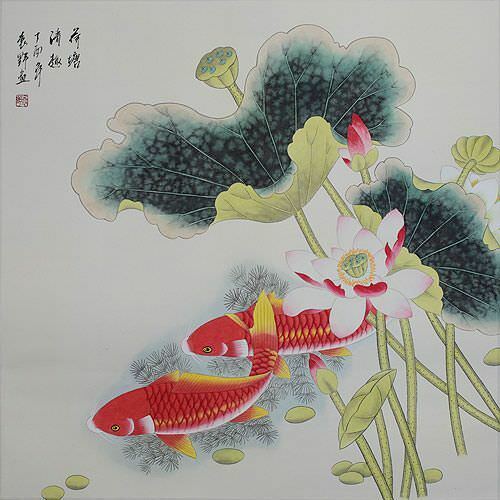 Artwork Panel: 132.7cm x 68cm ≈ 52¼" x 26¾"
Silk/Brocade Border: 153.7cm x 76.6cm ≈ 60½" x 30¼"
This features two koi fish having a good time among the lilies and lotus flowers. 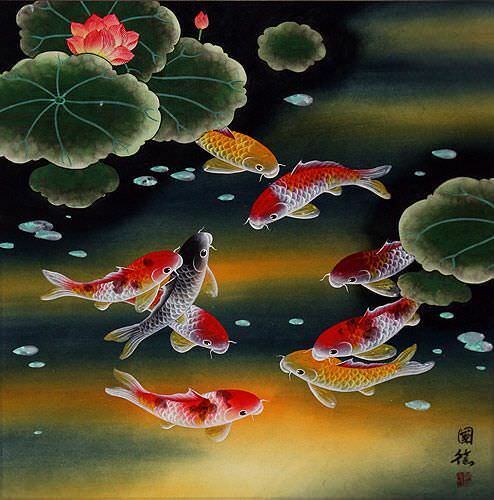 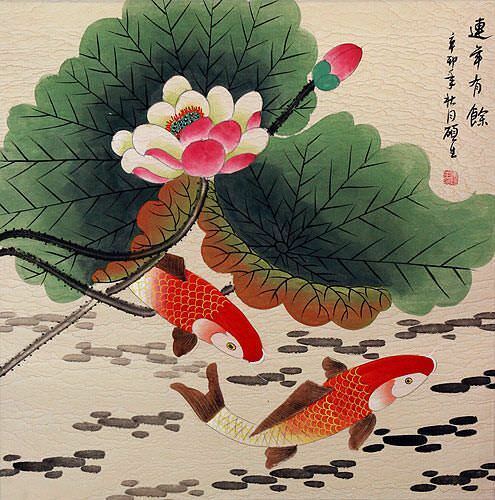 The title is 魚樂圖 which basically means, "Fish Fun Painting." 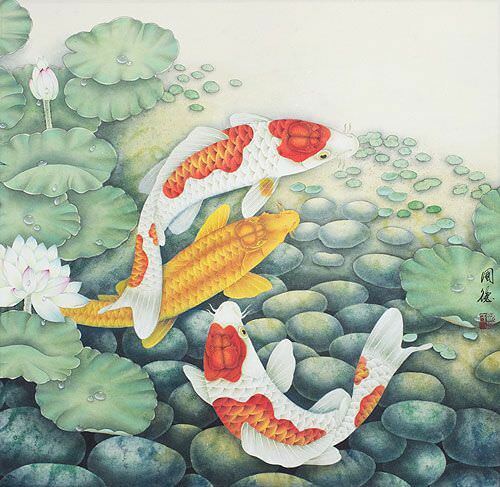 A better title might be, "Happy Fish Having Fun Painting," as the middle character kind of suggests fun times and happiness.